So, I figured since there's a brand new flea market/yard sale season coming up, I'd try to do another weekly feature here on the blog. A few years ago I attempted to do a weekly feature on the Facebook page called "Thrifty Thursday" but it just became too much to do after hitting dry spells. Plus, there's only so many times I can find the same Michael Jordan poster from 1993 and be happy. No offense to his Airness, of course. First off, a delightful Pop Tarts alarm clock from 2005. It didn't really work and the price tag was too high at 4 bucks, but that didn't stop me from taking a photo. 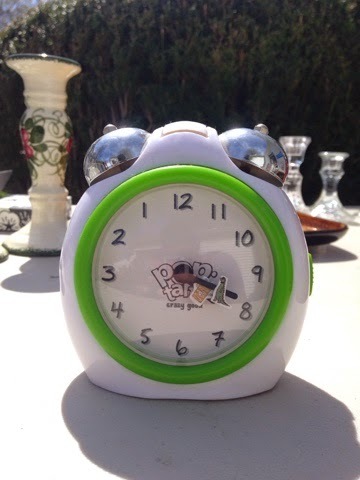 Any alarm clock featuring a dinosaur chasing after a Pop Tart? Gotta be good!!! ALF!!!! Yes indeed! For 2.50, I gladly took these home with me. A children's book where Alf caused mayhem at the local fair and a Burger King Surfer Alf! Now as fun as that alarm clock was, these two were truly the VIP of that yard sale. And after the first show of the season, it seems that Alf just won't leave me alone this early into the season. Not that I mind. The more Alf the better. But this was a nice surprise. 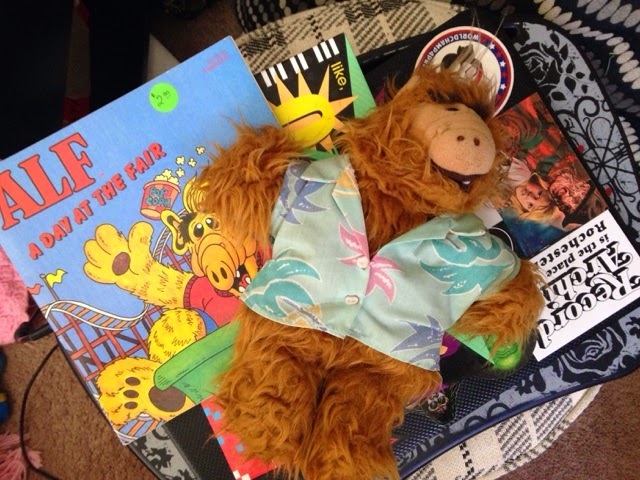 Especially since I never had the Surfer Alf puppet from Burger King. No way I was letting him stay behind. The book is pretty charming too, despite it's deep continuity issues. Here I thought he wasn't meant to leave the house!His disguise consists of a hat and a red sweater. I wouldn't say that's the best way to remain inconspicuous. But if I were a kid and had this book, I wouldn't have made a huge deal about it. BECAUSE. IT'S. ALF. I'd say I started this off pretty well. Thanks for stopping by to see the fun stuff I found! Stop by next week for more! Well, and any other day I post something. That would be appreciated as well. ALF is always a take-home. ALWAYS.